For those just tuning in, this is the final installment covering the annual prank on Pete. 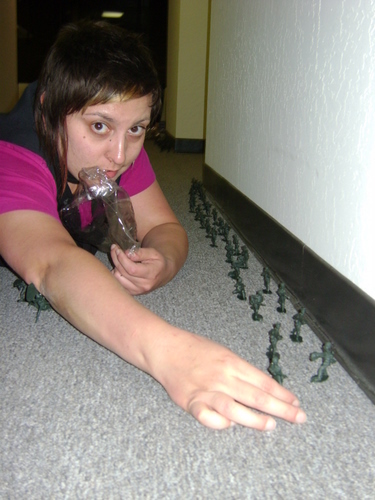 In my last blog I documented how we covered Pete entire house with little green army men, now, it’s after hours and my team of merry pranksters has infiltrated the iD Tech Headquarters and we about to cover the office just the same. 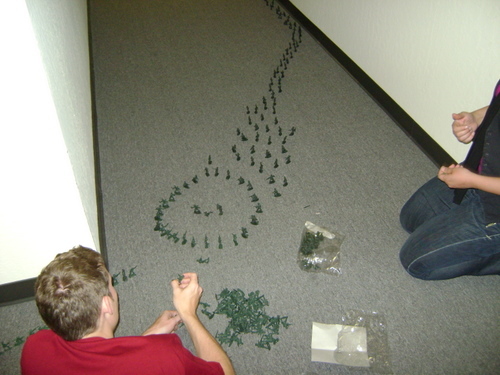 We decided to Make Pete’s desk the epicenter of the green army men but start with a line of them from the elevator, that would meet up with a similar line of them coming from his desk and include a tableaux in the middle. 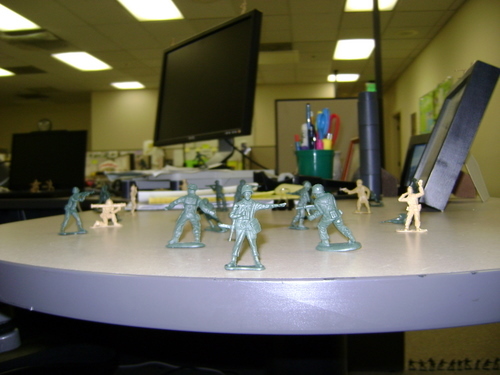 And finally, the view from Pete’s war-torn desk! 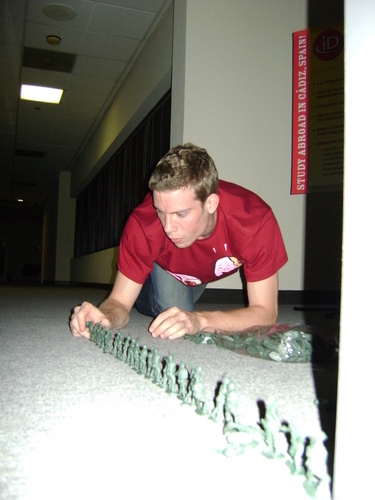 Despite all these solders, we are all about peace a love at iD! 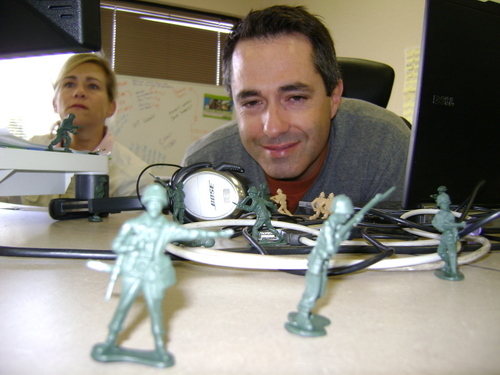 We just have a funny way of showing it with these goofy pranks - Pete is always a great sport!